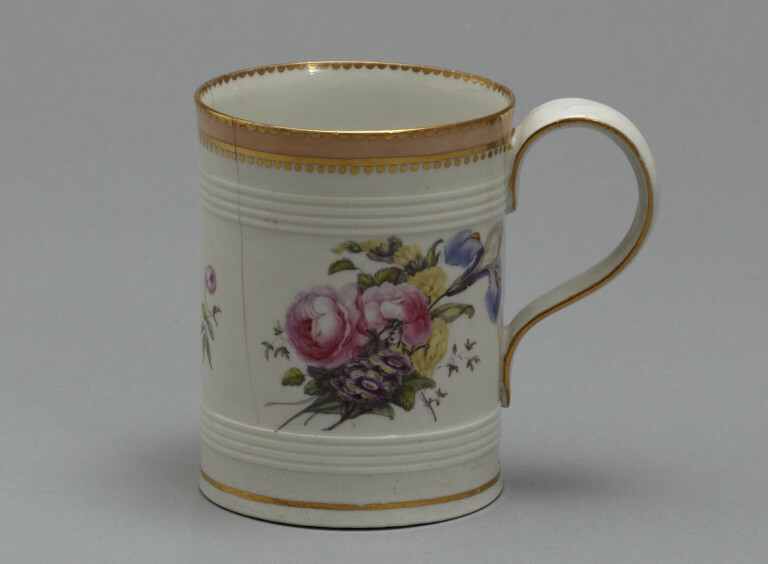 Mug of porcelain painted with enamels. 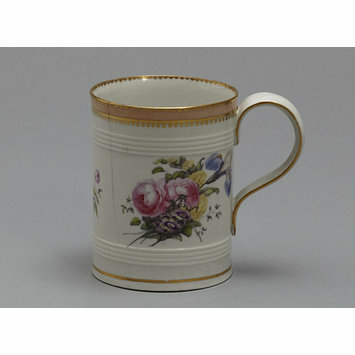 Cylindrical with a loop handle and two bands of horizontal ribbing in relief, between which are painted two bouquets and a flowering sprig. Mug of porcelain painted with enamels, painted by William Billingsley, probably made by Worcester porcelain factory, Worcester, ca. 1813.